UA College of Humanities faculty and special guests to discuss secrets from historic to modern times at annual festival. If knowledge is power, how powerful are secrets? 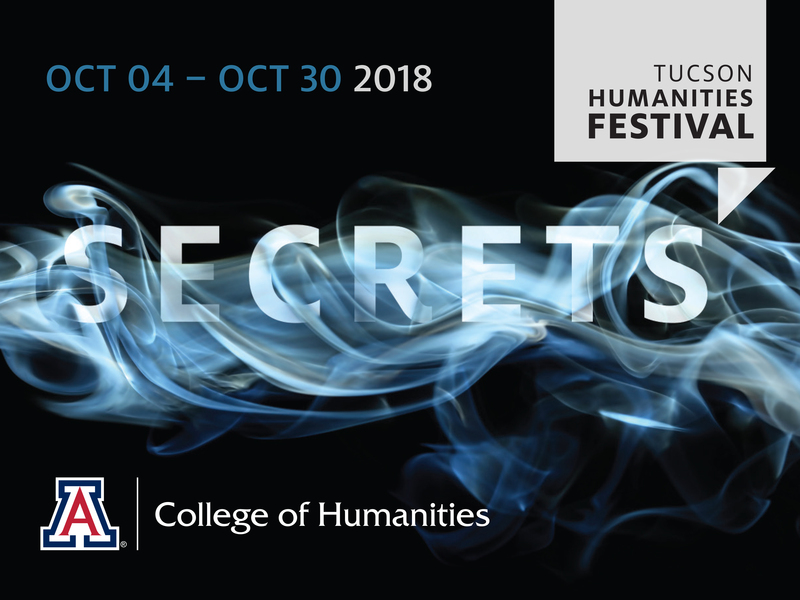 The 2018 Tucson Humanities Festival will look into hidden identities, clandestine rituals, mysterious escapes and encoded meanings, examining how information that's withheld and obscured has impacted human cultures. The festival's 10 events include thought-provoking lectures, readings and film screening by UA faculty members and featured guests including: Colson Whitehead, Pulitzer Prize-winning author of "The Underground Railroad;" pioneering hip-hop DJs Tony Tone and Rockin' Rob; feminist author Martine Delvaux; and Andre Goodfriend, director of the U.S. Office of eDiplomacy. "Secrets immediately put questions in people's minds, and we've created some thought-provoking events to consider those questions," said Alain-Philippe Durand, dean of the UA College of Humanities. The festival explores a different theme every year, with recent years highlighting "Resistance & Revolution," "Refuge" and "Found in Translation." "We settled on secrets as a way to tell some enticing stories and showcase some fascinating components of cultures around the world," Durand said. "We'll see marginalized people throughout history who have used secrets to preserve culture and beliefs. And we'll see modern ways in which secrets have profound impacts on identity and relationships." The events are organized as a local celebration of National Arts & Humanities Month to encourage public participation in the arts and humanities. The festival is intended to open a dialogue between the UA and the Tucson community, and to share faculty research and expertise about freedom, artistic expression, religion, and diplomacy. Visit humanitiesfestival.arizona.edu for more information. Tucson Chinese Cultural Center, 1288 W. River Rd. UA Museum of Art, 1031 N. Olive Rd. UA Poetry Center, 1508 E. Helen St.
Cans Deli, 340 N. Fourth Ave.
Tickets are required. Register for free at Eventbrite. Tickets are required for this event. Register for free at Eventbrite. Free tickets available Oct. 30 at noon at The Loft Cinema. Limit two per person.